The work of a customer care executive is not as easy as you might think. Most people feel that it is nothing to answer calls all through a day, but in reality it is really a big matter. Customer care executives or the ones you know as BPO employees have to hold on their patience all the time. They are expected to be calm and composed and simply answer calls without putting up their own views into a conversation. What we miss to notice is that a Bpo Service provider often has to handle critical cases and irate customers. People who call on the outbound call center are generally customers who are facing some or other issues with the company’s products or services. They are angry and speak harshly or behave rudely and are in want of immediate answers, which at times is not possible. This may irate them further and heat up the conversation. Handling such situations are difficult but outbound call center services need to learn the tricks to calm them down. If you happen to be a part of an Indian BPO or deliver trainings at a call center, this article is going to be helpful for you. 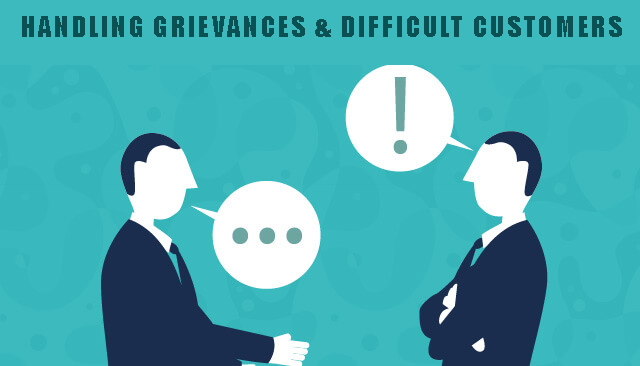 Here we will reveal some of the tricks to critical cases of grievances and difficult customers. So, make sure you read till the end and emulate our methods into your professional career. Corporations often miss their service commitments by a huge margin that balancing them becomes a problem. Even with the help of the most experienced outbound call center outsourcing staff they aren’t able to handle the issues. This is perhaps the most important case among the discussed cases in this article. If the case of genuine grievance spreads out in the media, the business corporation has to face serious consequences, among which defaming of the company’s name is a major threat. It can put down the company’s reputation in the market. BPO Provider agents who receive such calls should not waste time but transfer the calls to their seniors as early as possible. Callers are of different types. Under this category you will find callers who do not have any legitimate purpose to make a call. They mostly have experienced a personal strain for which they would express their grievances against the enterprise and its staff members. They often create a scene out of trivial matters. Your staff may find these kinds of callers very much frustrating. They are almost a waste of time and energy for a Bpo service provider in India who has handled more furious customers in the past. But in spite of the fact, your staff members should take them seriously. Advise them to use officially concerned language while resolving their cases. Not all callers will have a good language. There will be some who would hurl abuses. They generally are high pitched and always angry. But the interesting fact is that most Bpo Outsourcing Companies wants to receive calls from these types of callers. Under the provision where companies are endowed to protect their employees from client abuse, these are the only calls offer them the opportunity to terminate the call. Advise the service providers to warn the callers at least thrice before disconnecting a call. No matter how much conversation you have your language should always be polite. Abusing the customer in no case shall be considered. It is of utmost misconduct, even if it is the result of retaliation. Often confused with the offensive callers, these callers are quite different from the former. The offensive callers have the intent of insulting Bpo Companies while the latter finds pleasure from the physical and emotional intimidation. Moreover, if the service provider responds rather in an intimidated way it would further give chance to the caller to add weight to his grievance. Offering inappropriate ways of compensation would only encourage them to raise complaints. The first and the most important step is to listen actively. Listen and note down his grievances. Start the conversation with a neutral statement. Don’t interrupt your customers. Let them explain their case and pour out their aggression. Make always use of personal pronouns like “I” as much as possible. Limit the use of “we” as less as possible. Say “Yes” whenever necessary. Customers feel happy when they get positive reviews in order to get their problems resolved. Words like “certainly”, “absolutely” and “definitely” should be used as often as possible. Irritated people do not like to be told they are angry. Care agents have to make sure that they remain positive all through the conversion. Take their feedback and refer it to the managerial team with the details to suggest improvements on the customer’s behalf. Keep a check on your tone. Maintain a polite and gentle tone because flat tone can make the situation worse. Keep smiling and hold your patience.